Sam Resch and Noel Rooney scored 0.50 masterpoints with a 53.97% game at ACBL Unit 380 - Las Cruces. See full results of this game. Larry Gioannini and Jack Medd scored 0.70 masterpoints with a 59.26% game at ACBL Unit 380 - Las Cruces. See full results of this game. Sam Resch and Evelyn Colson scored 0.35 masterpoints with a 51.65% game at ACBL Unit 380 - Las Cruces. See full results of this game. Paul Gettys and Bob Kimball scored 0.70 masterpoints with a 55.75% game at ACBL Unit 380 - Las Cruces. See full results of this game. Noel Rooney and John Randall scored 0.40 masterpoints with a 58.59% game at ACBL Unit 380 - Las Cruces. See full results of this game. Robert Peters and Robert Francis scored 0.56 masterpoints with a 59.27% game at ACBL Unit 380 - Las Cruces. See full results of this game. George McCoy and Paul Gettys scored 0.32 masterpoints with a 52.95% game at ACBL Unit 380 - Las Cruces. See full results of this game. Robert Francis and Lawrence Ross scored 0.24 masterpoints with a 51.31% game at ACBL Unit 380 - Las Cruces. See full results of this game. Kathleen Kryway and Cliff Denton scored 1.00 masterpoints with a 58.8% game at ACBL Unit 380 - Las Cruces. See full results of this game. 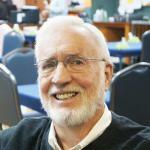 William L. Stein and Paul Gettys scored 0.22 masterpoints with a 46.59% game at ACBL Unit 380 - Las Cruces. See full results of this game. Cliff Denton and Harvey Gordon scored 1.00 masterpoints with a 56.08% game at ACBL Unit 380 - Las Cruces. See full results of this game. Larry Gioannini and Jack Medd scored 0.50 masterpoints with a 54.58% game at ACBL Unit 380 - Las Cruces. See full results of this game. Roy Falck and Ellen Schneider scored 0.65 masterpoints with a 57.92% game at ACBL Unit 380 - Las Cruces. See full results of this game. Paul Gettys and Noel Rooney scored 0.22 masterpoints with a 51.85% game at ACBL Unit 380 - Las Cruces. See full results of this game. Evelyn Colson and Kathleen Kryway scored 0.65 masterpoints with a 56.09% game at ACBL Unit 380 - Las Cruces. See full results of this game. Paul Gettys and Noel Rooney scored 0.28 masterpoints with a 48.56% game at ACBL Unit 380 - Las Cruces. See full results of this game. Evelyn Colson and Joanne Dunkel scored 1.05 masterpoints with a 55.21% game at ACBL Unit 380 - Las Cruces. See full results of this game. William L. Stein and Paul Gettys scored 0.62 masterpoints with a ★62.07%★ game at ACBL Unit 380 - Las Cruces. See full results of this game. Marty Poel and Lawrence Ross scored 0.16 masterpoints with a 46.76% game at ACBL Unit 380 - Las Cruces. See full results of this game. Sam Resch and Noel Rooney scored 0.45 masterpoints with a 55.56% game at ACBL Unit 380 - Las Cruces. See full results of this game. George McCoy and Paul Gettys scored 0.70 masterpoints with a ★60.42%★ game at ACBL Unit 380 - Las Cruces. See full results of this game. George McCoy and Lawrence Ross scored 0.22 masterpoints with a 49.54% game at ACBL Unit 380 - Las Cruces. See full results of this game. Joanne Dunkel and Evelyn Colson scored 0.94 masterpoints with a 55.09% game at ACBL Unit 380 - Las Cruces. See full results of this game. Janice Favors and Pat Calhoon scored 0.28 masterpoints with a 52.98% game at ACBL Unit 380 - Las Cruces. See full results of this game. Joanne Dunkel and George McCoy scored 0.56 masterpoints with a ★60.42%★ game at ACBL Unit 380 - Las Cruces. See full results of this game. C Jean Wiborg and Paul Gettys scored 0.40 masterpoints with a 53.27% game at ACBL Unit 380 - Las Cruces. See full results of this game. Robert Peters and Robert Francis scored 0.32 masterpoints with a 50.96% game at ACBL Unit 380 - Las Cruces. See full results of this game. George McCoy and Gary Williams scored 0.92 masterpoints with a 54.86% game at ACBL Unit 380 - Las Cruces. See full results of this game. Robert Francis and C Jean Wiborg scored 0.56 masterpoints with a 49.77% game at ACBL Unit 380 - Las Cruces. See full results of this game.